The year development of the Navstar Global Positioning System program was approved by the U.S. Department of Defense. (The system would be built out starting in 1979 but wouldn’t see completed form until 1995.) This program, which would eventually just become known as GPS, made it possible for a person to figure out their the current location on the planet, something that would have been considered impossible just a few decades prior. As you might imagine, solving a problem like mimicking the shapes of trillions of individual structures on maps around the world is tough. But starting from scratch, it doesn’t sound quite as hard as the problem researchers at Johns Hopkins Applied Physics Laboratory were trying to solve. The U.S. military needed a way to track the location of submarines, which, by their very nature, are submerged, sometimes for months on end. Being deep in the ocean, of course, has its limits based on what kinds of equipment you can use. But while researchers at Johns Hopkins had a challenge, they also had ideas to be inspired by—particularly due to the Space Race and the competition brought forth by the Soviet Union. When the satellite Sputnik launched into orbit in 1957, it took the already-budding inventiveness of the early computer era and turned it into a catalyst to innovate. And that directly helped to inspire the work of Frank T. McClure, the inventor of the Transit Navigation System, the direct predecessor to GPS. After the satellite first went into orbit, two researchers at the university, William H. Guier and George C. Weiffenbach, tracked Sputnik using the Doppler effect to figure out its exact orbit. After talking to the two scientists, McClure realized the idea was translatable to navigation in general. 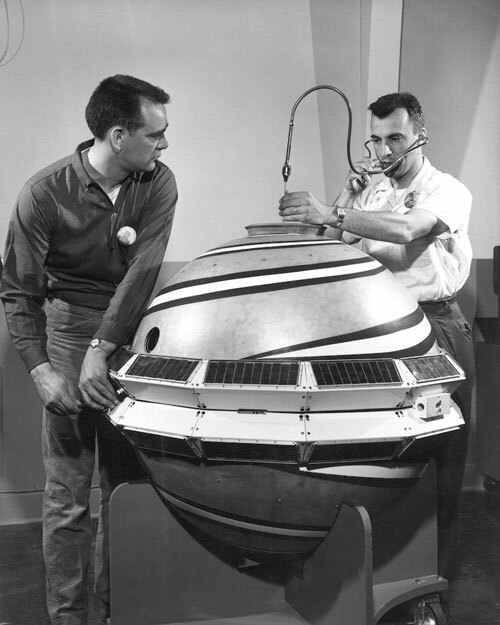 This spark inspired the launch of the Transit system, which had the support of the U.S. Navy and was developed in tandem with the Defense Advanced Research Projects Agency (DARPA), eventually went live around 1964, after years of prototyping. The system, also known as NAVSAT, would remain active for more than 30 years, only getting retired from its primary navigational use in 1996. By that point another, by then better known, technology had usurped it. While Transit was a huge leap forward as a tracking technology, it was not without its limitations. It was not an easy to use system and required the user to know where the satellite was, as well as the vessel’s position on the ground. This ensured Transmit wouldn’t be taken up by the masses, though it did see some commercial use. Easton was already well-versed in satellite technology, having helped developed MINITRACK, the first satellite tracking system, as well as the Naval Space Surveillance System, which allowed the U.S. to keep track of any satellites that had entered the Earth’s orbit. This work inspired Easton and put him on the path where he was in a position to build a navigational system based on time navigation, or timation. The concept of ensuring perfect timing between multiple satellites helped to allow satellites to synchronize and triangulate a specific location—effectively automatically figuring out things that Transit Navigation System required a person to know manually. On top of that, the satellites would be able to offer up their exact coordinates passively, allowing for many people to grab the information from a satellite at once, with no distinct lag. 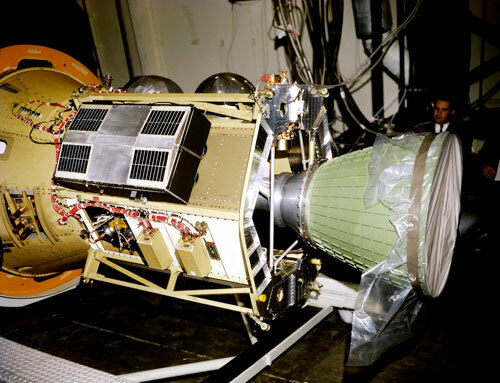 Easton’s ideas were put into practice with the two TIMATION satellites, launched in the late 1960s. In an essay on a website dedicated to his work, the late Easton noted that atomic clocks were necessary for exact accuracy, but initially were too large for use in satellites, so they initially had to use quartz. These experiments, which took place despite the existing Transit program, helped lead to rethinks of how satellite navigation could be done, and it was done on a budget: TIMATION received a modest budget of just $35,000, the most it could receive without regulatory approval, and the first satellite entered orbit by piggybacking on a rocket with another satellite. The smaller-scale effort, however, helped to prove out Easton’s ideas, and in 1973, Deputy Defense Secretary William P. Clements, Jr. approved a more elaborate version of the idea, called GPS, that was said to accurately nail down a location to within 30 feet. The cost of the project at the time of its announcement was $150 million, though the cost would go up significantly in the years to come. By 1995, when the final satellite of the 24-satellite build went online, the total cost of the project was estimated at around $14 billion, according to a Department of Defense estimate, not including the launch of the satellites into space. If the interstate system and the internet were the United States’ two greatest investments for the benefit of the public at large, GPS is an easy third—and, considering it makes both interstates and the internet better, it might actually be even better than that. And for his work, Roger Easton lived the final years of his life getting compared to Thomas Edison. What a way to go out. The amount that was appropriated for the federal GPS program in the federal budget for 2017, according to the GPS.gov website. The program, while paid for by U.S. taxpayers, is freely available for civilian use for people around the world. (There are other competing systems, of course, but GPS is probably the best-known globally.) Currently the system is mostly budgeted through the U.S. Department of Defense, but the U.S Transportation Department is also responsible for some of its funding. Early on, GPS got something of a bad rap—as a technology considered too expensive and too inaccurate for mere mortals. The cost factor was organic, of course, but the accuracy issues were artificial. See, the U.S. government got a lot of miles, as well as a lot of direction from the Global Positioning System, but for years, it was treated as a competitive advantage by the military, rather than as something with broad cultural benefits. Over time, this started to change, particularly in 1983, when an incident involving a Korean Air Lines flight that dipped into Soviet air space led to the deaths of 269 passengers and crew members. Knowing that commercial access to the GPS system might have helped prevent the deadly incident, Ronald Reagan two weeks later opened up global access to the system. However, that access came with intentional limits. While the U.S. military allowed basic access to the system on a consumer tier, it chose to block the most fine-toothed results from public consumption through the use of a scrambling device. This approach, called “selective availability,” helped ensure the military could use GPS as a strategic advantage, but it also had the effect of making civilian GPS devices less useful, by ensuring that basically limited the effectiveness of GPS for the broader public, as while you could learn the general location you were located in, it would only narrow your location down to within 300 feet or so—a distance that’s manageable for, say, flying a plane that’s already in the air, but would make it really difficult to use for actually landing that plane. Despite the Defense Department’s claims of military necessity, when the U.S. government actually had a war on its hands—the first Gulf War in Iraq—it actually turned the GPS scrambling off. Due to a lack of GPS devices, the public was sending military members versions of the system that could only read the scrambled signals. The military responded by turning the system off, because it wasn’t like their opponents had GPS, anyway. GPS can be switched to coded transmissions that can be used only by special receivers. In the event, not enough special receivers were available, so the GPS network could not be switched to the coded mode. That meant anyone, including the Iraqis, who had a standard GPS receiver (which is widely available commercially) could use GPS to find his own position. Considerable publicity was given to this apparent lapse in U.S. equipment, but it made little difference, since the GPS itself does not give away the positions of attackers. Not long after the war, pressure started to mount from both the civilian world and from other parts of the executive branch (specifically, the Federal Aviation Administration) to remove the scrambling technique for good. The scrambling technology also proved susceptible to disruption. Avionics noted that the effect of slowing down the signal could be beaten by a differential technique that would be able to correct the errors intentionally added by the selective availability technique. 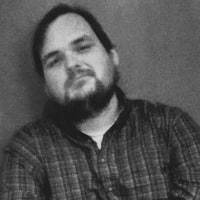 By the late ‘90s, the Clinton administration had seen enough and started taking steps to disable the the scrambling technique, first announcing steps to support consumer use of the GPS system in 1996 and, in 2000, shutting off selective availability entirely. “The decision to discontinue SA is coupled with our continuing efforts to upgrade the military utility of our systems that use GPS, and is supported by threat assessments which conclude that setting SA to zero at this time would have minimal impact on national security,” President Bill Clinton noted in a press release from the era. In 2007, when the GPS system was getting an upgrade, the ability to scramble the data was removed for good. Like the internet, GPS was simply too awesome of a technology to leave in the hands of the military-industrial complex. And soon enough, the technology was in everyone’s phones—where it’s used for every piece of technology imaginable. The network of satellites that make up the modern GPS system have fallen into the mundanity of modern life. They simply work a lot of the time—and at even closer distances now than they did in 2000—and without them we wouldn’t have ride sharing services like Uber and Lyft. Still, this technology changed the world and moved far from its military roots. 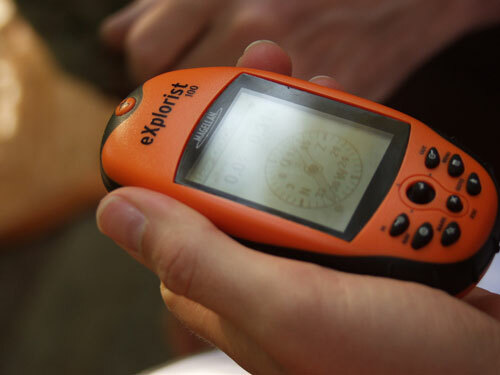 But skepticism of GPS still runs deep for some, due to its roots as a military product. Most infamously, in 1992, two activists who opposed military activity broke into a facility owned by the then-major industrial conglomerate Rockwell International, which we last mentioned in our story on the history of call centers. Peter Lumsdaine and Keith Kjoller entered Rockwell’s Seal Beach, California, facility and smashed parts of the satellite intended to go into orbit. Lumsdaine reportedly hit the satellite with an axe around 60 times, causing $2 million in damage. The duo called themselves the Harriet Tubman-Sarah Connor Brigade, because why not. Since then, the U.S. military’s use of satellite positioning has made way for the public as a whole to use satellites for things like looking at maps online and requesting car service. Sure, maybe that’s technically true. But for the hundreds of millions of people who have benefited from this technology over the years, it’s likely to never even be considered in this way. It’s a point that feels a little off the mark in the modern day.